Ron Dennis has admitted bungling the Fernando Alonso saga, finally now joining those who agree the Barcelona test crash is a "mystery". Since the Spaniard hit the wall on February 22, McLaren has claimed it was a "normal" incident and a mere concussion for the team's new star driver. But supremo Dennis insisted in a recent press conference that Alonso was in fact not even concussed, attracting wide condemnation from fans and the media. "Putting aside the fact my medical expertise didn't know, actually, concussion was an automatic result of unconsciousness in the accident, (it) set me up as I often do, for massive amounts of criticism for being inaccurate," he said in Australia. "This is life. I have to take it. "I understand why the press beat me up. I wanted to be open and honest. I failed. But it is my objective to try to be as honest as possible in future," Dennis added. He now concedes that Alonso had to sit out Melbourne due to the 21-day waiting period after a concussion. But, curiously, Dennis is not confirming that the 33-year-old will definitely be back in action in Malaysia - a full five weeks after the crash. "As far as I know Fernando will be in Malaysia," he said. "I hope he does, but it is his decision, not mine." Alonso's race engineer Andrea Stella, who has also switched from Ferrari, is in Melbourne to work on the car raced by his replacement, Kevin Magnussen. 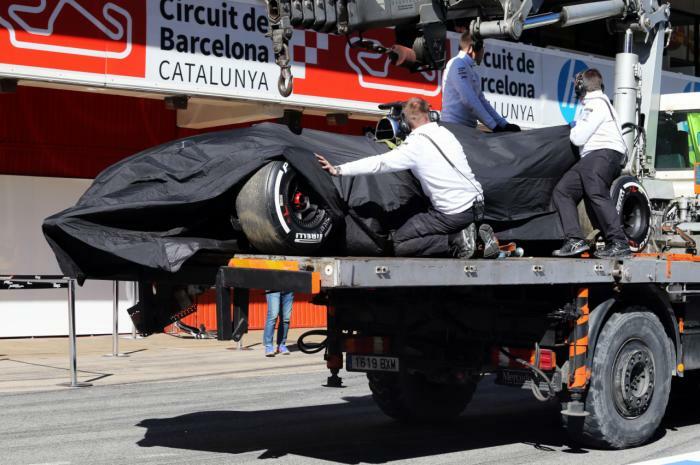 The FIA is investigating the Alonso crash saga, and the Spanish driver's manager Flavio Briatore has also called on McLaren to clarify what happened. "Whether the mystery will materialise in hard fact," Dennis said, "remains to be seen." Red Bull's Daniel Ricciardo on Thursday said he has "no concerns" about his safety amid the ongoing saga, but it is Magnussen and Jenson Button who will be actually driving the troubled MP4-30 in Melbourne. "There's no data to show that there was any issue whatsoever with the car," Button is quoted by Melbourne's Age newspaper.